Linden resident Clarence Carter, who stabbed his wife to death in an attack at Wisroc Housing Scheme and then made an unsuccessful attempt to end his own life, was yesterday sentenced to serve 18 years in prison after he pleaded guilty to manslaughter. Carter was originally charged with murdering his common-law wife, Leolyn Sullivan, on January 18th, at his residence. In addition to the lesser charge of manslaughter, Carter yesterday also pleaded guilty to wounding his stepdaughter, Shameka Campbell, during the attack. 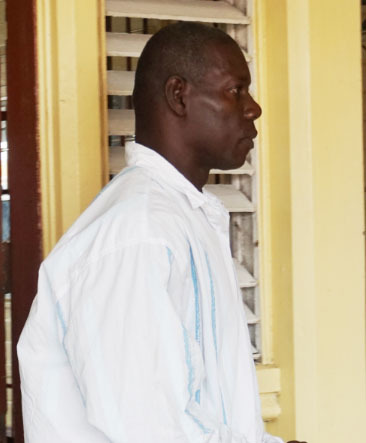 Justice Sandil Kissoon sentenced Carter yesterday at the High Court in Georgetown, after considering his early guilty pleas, along with other factors. The judge explained that he had started off the sentence for the manslaughter offence at 25 years and deducted eight years because the accused had pleaded guilty early on to the crime. Next, he deducted 2 ½ years for the time Carter spent on remand, and another 2 ½ years for mitigating factors, including Carter’s expression of remorse for his actions, and his actions prior to the incident, which involved him seeking to bring stability to the relationship. 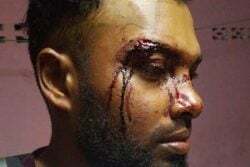 However, Justice Kissoon noted that because the crime was a “manifestation of domestic violence,” which is a pervasive issue in society, and because the post-mortem examination showed that the deceased suffered 22 injuries as a result of the attack, an additional six years were added, taking the sentence to a total of 18 years on the manslaughter charge. In relation to the wounding of his stepdaughter, Carter was sentenced to five years in jail. However, the sentences are to be served concurrently. Only Carter’s son turned up to court to support him yesterday. Carter was represented by attorney Maxwell McKay. It was previously reported by this newspaper that Sullivan, 34, a vendor and mother of six of Wisroc Housing Scheme, Linden, was stabbed over 15 times about her body by Carter. It was reported that after stabbing the woman, Carter turned the weapon on himself and slit his own throat. Campbell, then 18, was stabbed to the neck and arm by the man during the attack. 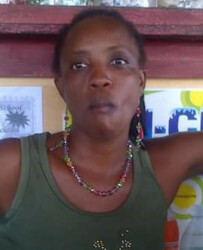 Stabroek News had been told that Carter and Sullivan had shared an abusive relationship for six years.